Here is my schedule of events next week for Sasquan (the 73rd World Science Fiction Convention) in Spokane, Washington. Hope to see you there! Fanwriting from Twiltone to Facebook: Zines, Blogs, Social Media — What’s the Diff? Yesterday I saw the Seattle Symphony perform a Pops concert titled “The Movie Music of John Williams.” Being a science fiction fan, I knew many of the movies well: Superman, Jurassic Park, Jaws, E.T., Raiders of the Lost Ark, Star Wars. I was in heaven. Who cared the Seattle Seahawks were playing nearby? The Conductor talked a bit about each composition, and explained a movie theme evolves through conversations between the filmmaker and the composer. On the suggestion of the conductor, I focused on the feeling imparted by the music as I reflected on the plot of each movie. The writer in me recognized a lot of foreshadowing and definition of characters. For example, the Superman theme was upbeat and heroic. Indiana Jones conveyed adventure and romance. Actually, a lot of the music had an epic/heroic feel–Williams used some common structures in the different compositions. The Casablanca Suite (composed by Max Steiner) even suggested the Moroccan setting. I imagine that would be a bit tougher with Star Wars. What musical phrasing would suggest an alien planet like Tattooine? Interestingly, the Jurassic Park theme created an image of a magnificent park full of amazing dinosaurs, but gave no hint the magnificence would eat anyone. I wonder if Spielberg told Williams not to reveal that part of the movie? The conductor also had some fun speculating about early Spielberg-Williams conversations on the Jaws theme. Spielberg: So how’s the theme coming? I couldn’t help it. I found myself imagining Spielberg responding, “We’re gonna need a bigger note.” My husband had no clue why I was giggling. At the end of the evening, I indulged my inner geek and had my picture taken with some denizens of the lobby. It was MAHvelous to immerse myself in music and stories I love and forget all about lung cancer for a few hours. 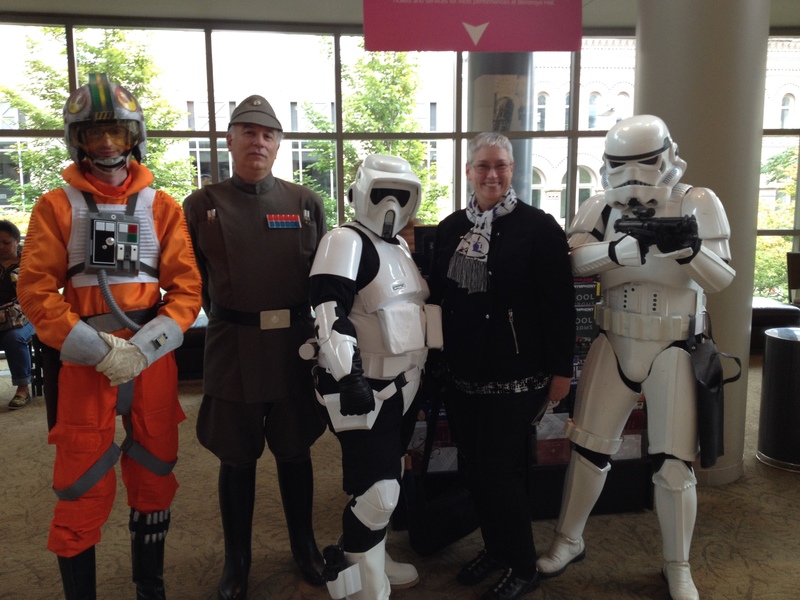 I’m going to Orycon 35, a science fiction convention held November 8-10, 2013, in Portland, Oregon. The programming folks have dreamed up some interesting science panels! I’m especially looking forward to the panel Jay Lake and I are doing on “Living with Late Stage Cancer,” which was very well received at the World Science Fiction Convention in San Antonio last August. If you’re attending Orycon, I hope you’ll attend one of my panels or find me in the halls (I’m not a night owl nowadays, so I’ll be scarce at parties). 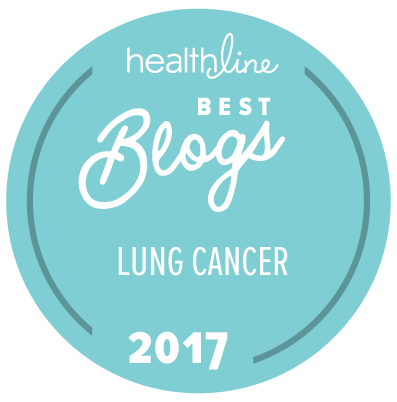 What it’s like to live from scan to scan, how we learn about different treatment options, coping when treatment fails, and answering questions from the audience. No, really, they’re real scientists, honest. Bring your science questions, and if they don’t have an answer they’ll make something up, and it might even be sort of right. Best and worst science in the movies.